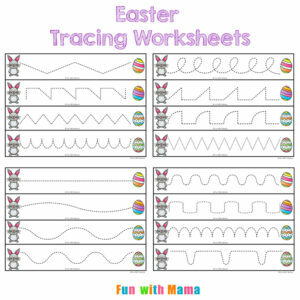 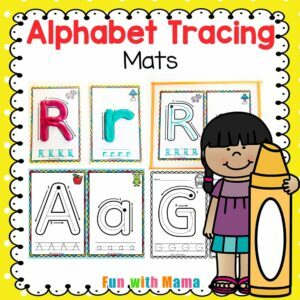 These alphabet tracing mats can be used as basic preschool tracing mats or as playdough mats too. 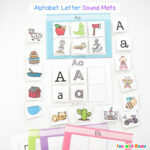 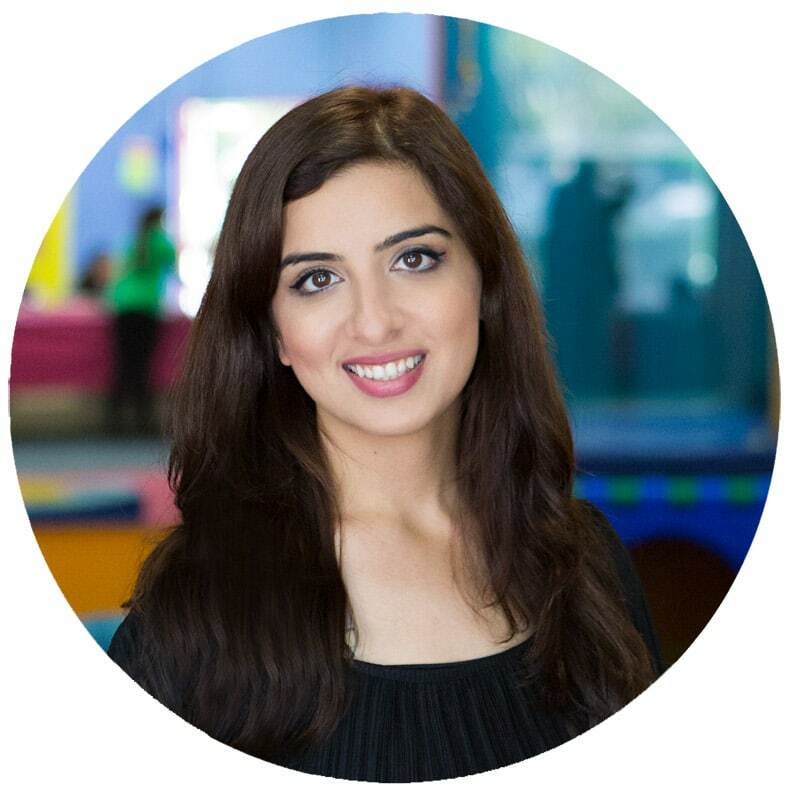 This is the newest addition to our alphabet activities for kids. 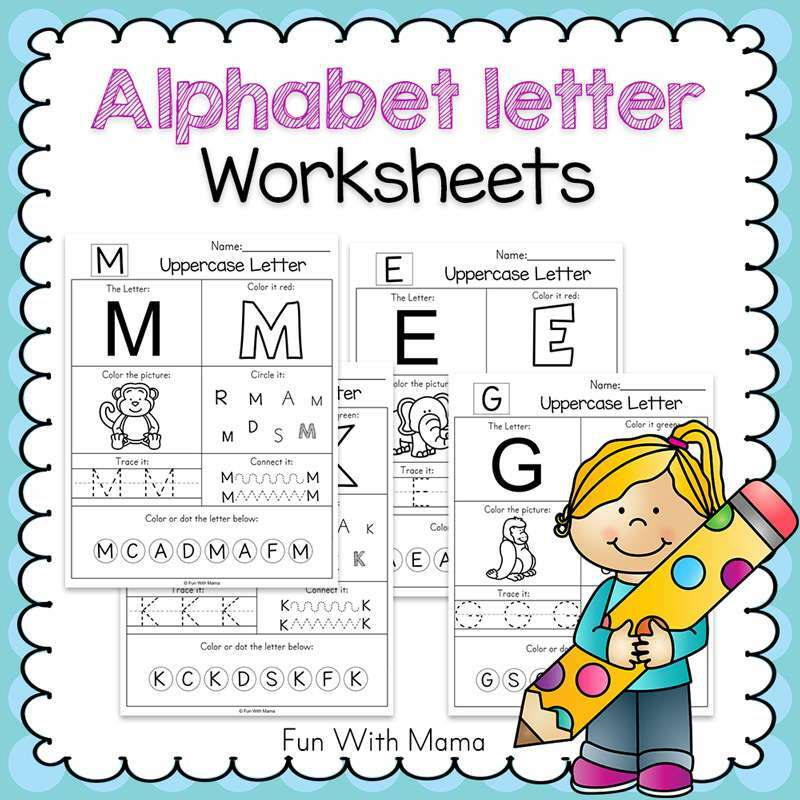 My daughter really enjoyed learning her alphabet letters using our alphabet letter worksheets and the weekly alphabet letter crafts we were doing. 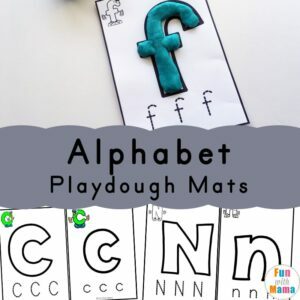 I have included 4 alphabet mats here. 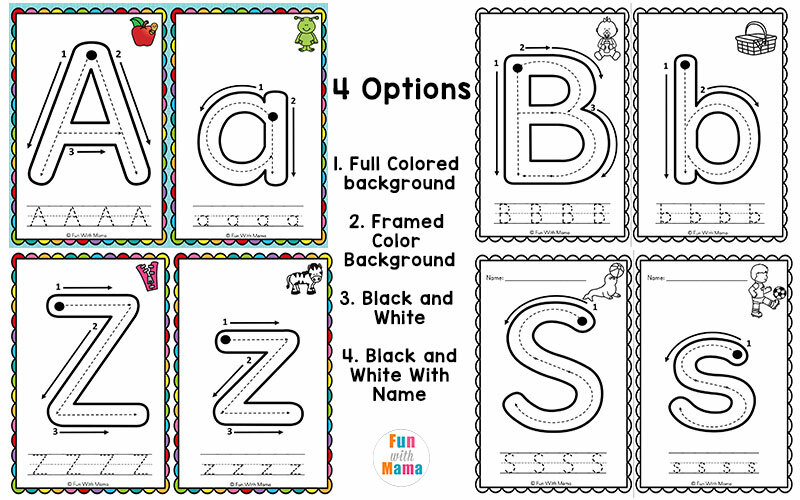 There is a framed color version, a color version with a frame, a black and white version and a black and white version for a child to write their name. 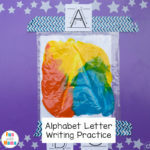 Along with number indications on how to write the letters, I’ve also included an image that begins with the beginning letter sound. 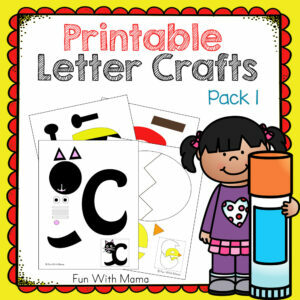 I have separated the uppercase and lowercase letter. 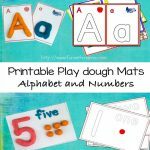 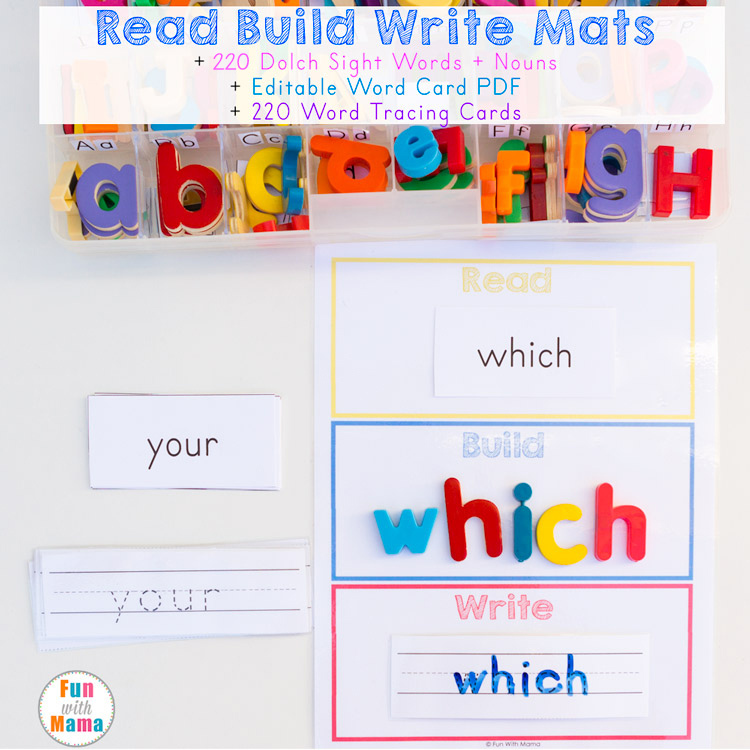 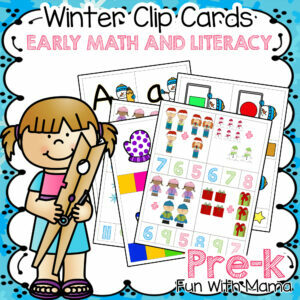 Children can use this activity pack as alphabet tracing worksheets or you can add them to your literature center along with some play dough and use them as playdough mats. 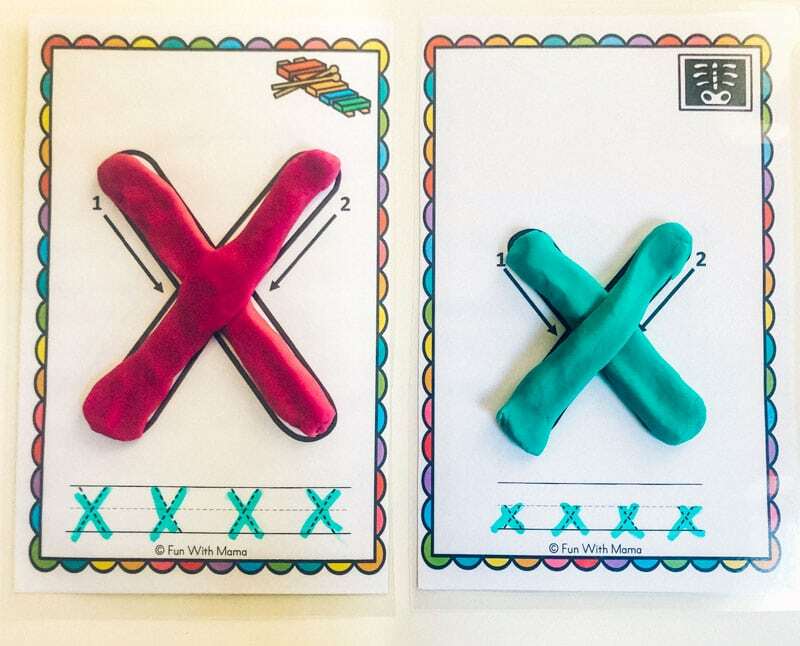 In the first activity above, I placed the color copy of the activity in this dry erase pocket, this makes the activity re-usable and requires no prep at all! 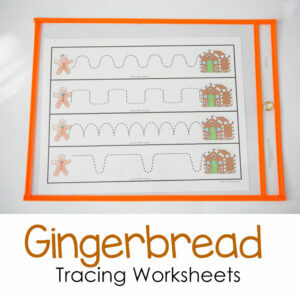 You could also print out the black and white copy and have children use this page with a pencil and crayons. 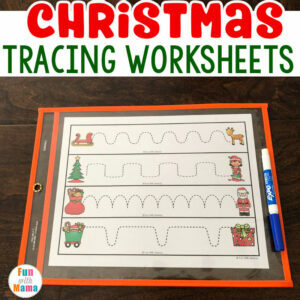 You can also cut and laminate the pages and then use them with dry erase markers or with playdoh too. 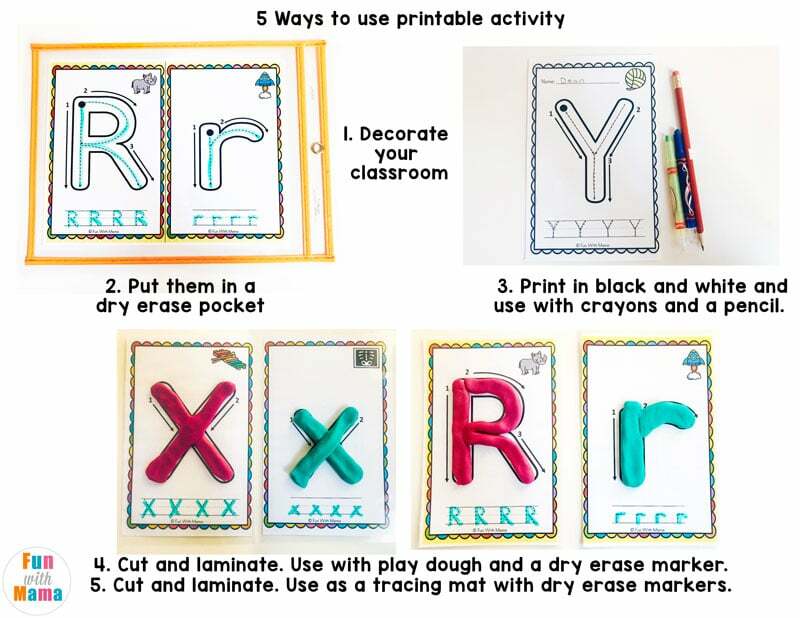 Since I am not using these alphabet printables in a classroom setting, I just print out the letters that my daughter doesn’t know yet. 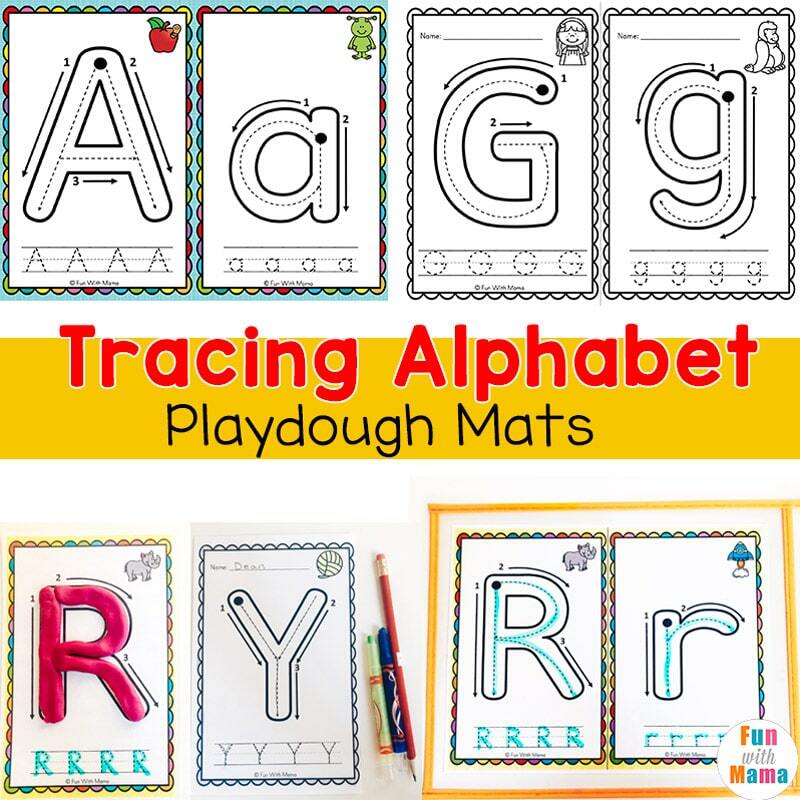 My daughter is also working on her letter sounds so along with our beginning letter sound mats, I’ve incorporated these tracing mats into our learning activities. 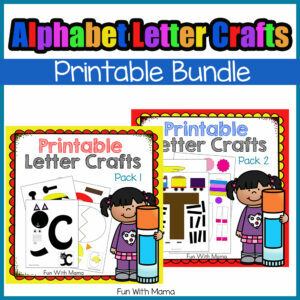 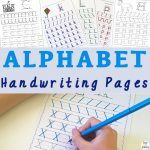 You can download a sampler of this activity pack for the alphabet letter G. I have included the color copy and black and white copy in the sampler. 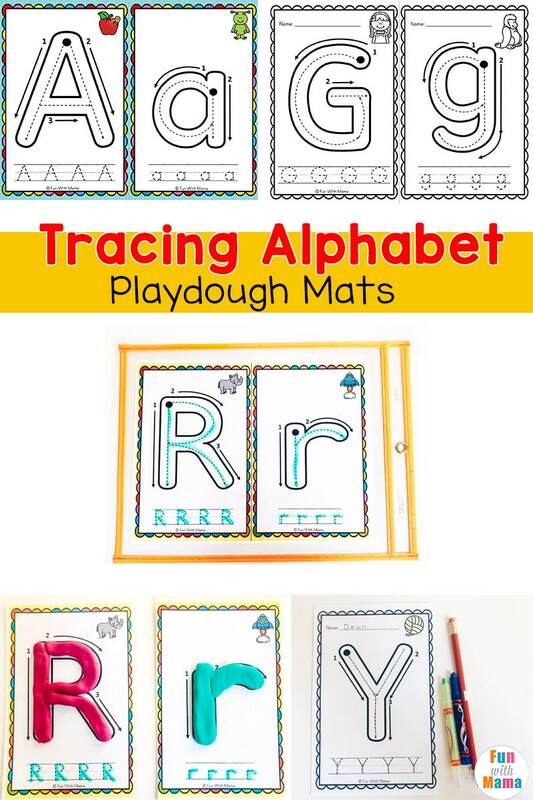 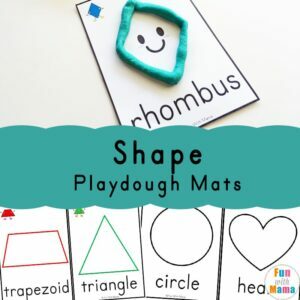 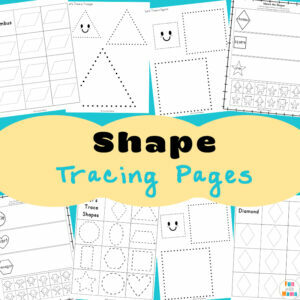 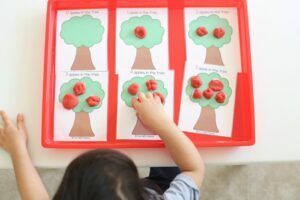 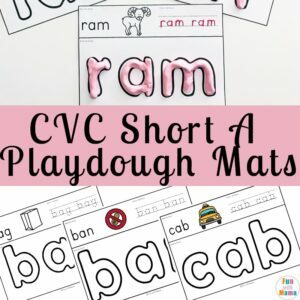 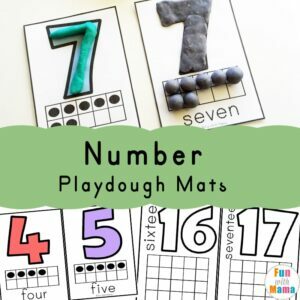 If you are looking for more tracing activities or play dough mats to add to your classroom centers we have so many fun activities for you to try. 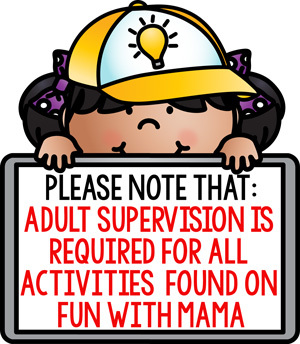 « Where To Buy Elf On The Shelf + Everything You Need To Know!